The Seniors are an active and sociable part of the club made up of over 55s who make everyone welcome from the moment they join. All you need is the £5 joining fee (in addition to the club membership) and £1 for the kitty on either a Tuesday or Friday. Rarely do the Seniors meet with less than 12 members and usually through the summer numbers rise to at least 20. If you want to play competitive golf the Club has 2 Senior Opens each year as well as hosting other sponsored events. In addition the Senior Captain’s Away Day is always well supported and sees up to 60 golfers visiting other clubs in the region. The Section is one of the busiest with 32 friendly matches being played on a home and away basis. During the season the teams travel to Durham, Darlington, Harrogate and Saltburn as well as others. Don’t worry you won’t be expected to play in all of them!! After playing the course the majority of the Tuesday / Friday golfers stay behind for drinks and a snack and also of course to find out if they’ve won the money after the morning round. 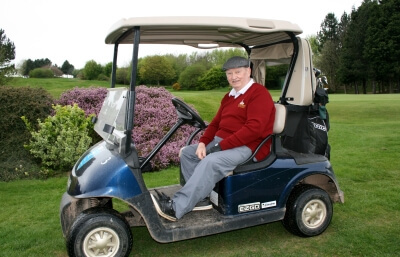 Whatever your handicap you will find golfers of a similar standard and all are happy to be drawn to.